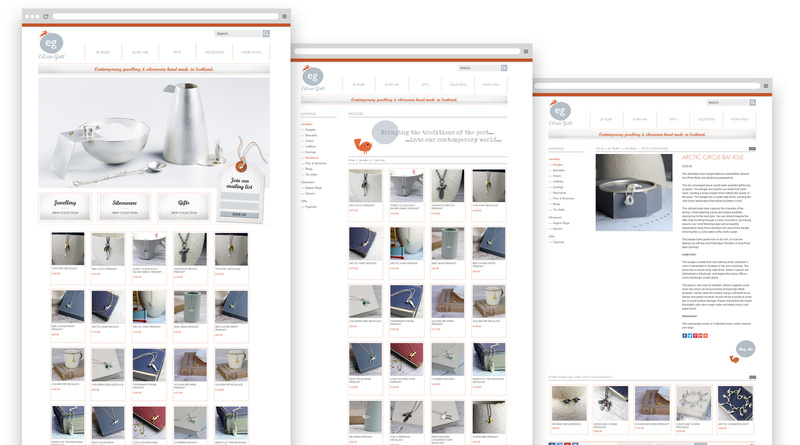 Ecommerce website for contemporary Scottish jeweller. Scotland based jewellery designer Eileen Gatt has been designing and making jewellery on the Black Isle in the Scottish Highlands for over 20 years. Eileen is fascinated by the mystical interaction between man and the sea and she often uses traditional customs and superstitions as starting points for her designs, and if you have a browse through her website you can see this fascination come to life in her work. Eileen approached us to work with her to create a logo that embodied the nature of her pieces, and to design and build an ecommerce website to allow her to start selling her jewellery directly to the public. We worked closely with Eileen to design a logo that embodied her work. With Eileens trademark hare as a colour pop motif we think we have done that. Working with Infinite Eye is an absolute pleasure. Their service is professional, efficient and super friendly! 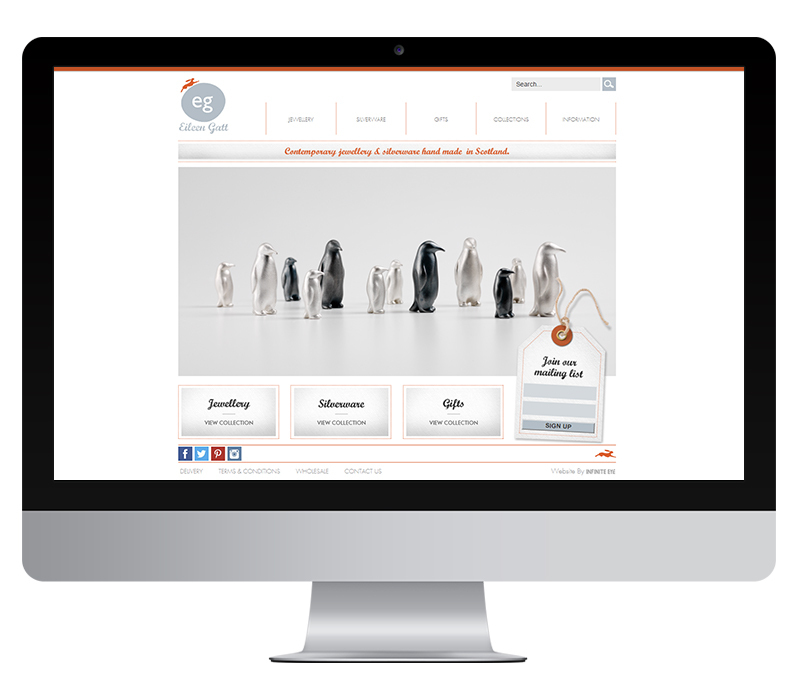 As a creative business, we were looking for a web design team who understood our needs. Infinite Eye took on board our brief, listened to our concerns and requests, and have created a website we truly love! Their after-service has been brilliant too, and no request has ever been too much hassle. The team are always friendly and helpful. We really couldn’t have asked for more, thank you Infinite Eye!